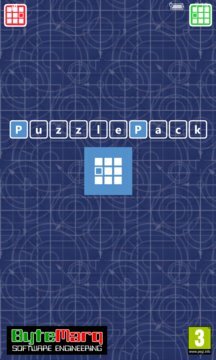 PuzzlePack is a simple time waster that can get addictive! Its great for helping you train your brain in forward thinking, keeping you mentally fit and healthy! Fun for kids and adults alike, look out for future Packs including different block types. The goal is simple, keep playing as long as you can. Each horizontally or vertically filled line will disappear. 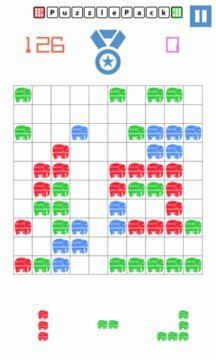 Just lift each piece and place it on the grid, but be sure to look ahead before choosing your piece!